News || Enterprise Group rebrands. |News| Enterprise Group is set to change the financial industry, with a lively rebranding campaign. |News| Enterprise Group rebrands. |News| Enterprise Group is set to change the financial industry, with a lively rebranding campaign. The plan aims to provide immediate cash pay-out to the policyholder to cover funeral expenses of loved ones. Our Ghanaian family values which is based on the principle of caring and respect for humanity is evident in our social lives and this underscores the need for a decent and dignified burial of our loved ones. The plan will only pay the lump sum if you or any member you have insured dies during the period of cover. There is therefore no surrender or maturity value. How much will the plan pay out? You decide how much benefit you would like this plan to pay out. There are six (6) different plan types with each type having five options. You can only select one plan type and one option. You cannot switch between plans once your application has been accepted. The plan type and option you choose will determine your monthly premium. Who can the plan cover? Wider family - maximum of six (8) out of the following – parents, parents-in-law, stepparents, foster parents, Siblings, grandparents and additional spouses Definitions of which can be found in section D.16 in the terms and conditions folder. The maximum number of lives to be covered under this policy is 16. Do all the covered members enjoy the same benefits? Can I increase my premiums and benefits anytime I want to do so? No you can not increase your premium and benefit once you choose your plan. However you have an option to increase your premium and your benefit automatically on every anniversary year when you opt for an automatic premium update. This will be on compound basis. This option must be selected at the inception of the policy. Are there any other benefits apart from the life cover benefit? Yes, Ten per cent of all premiums paid becomes payable every 5 years if policy holder does not make any claim within those 5 years of the policy. Your policy must be active during this period and all premiums should have been paid. When the life assured dies through accident the policy will pay double the life cover. This applies even when death occurs within the 6 months waiting period. You will also enjoy a Family Support Benefit after the death of the life assured. This is paid in 6 month's instalment. There are two optional add-on benefits available. It cannot be taken on its own on a separate application form. It provides the payment of 50% of that member's burial cover, one year after the death of the Life Assured, or nominated family members. It is purely investment, a structured, disciplined way to save, at a good return. Enterprise Life will only go on risk once the first premium has been received. You decide how long you want the cover for. It is therefore open ended. All claims should be reported at any ELAC Branch offices. The documents required are spelt out in the policy conditions folder. See Section F.
When will the plan not pay out? You do not truthfully provide all the information we ask for on your application form. The plan is in the waiting period. If death is as a result of an exclusion. See policy terms conditions folder Section D.9. Your nominated trustee will make a claim on your life, and any other future claims if applicable, see section C.
Give us all the information we ask for in the application process. Pay the required premium every month through your bank or from your employers. The Akwantupa Policy is an innovative product from Enterprise Life which eases the burden and stress involved with funeral planning and financing when living abroad, with a few easy steps and a click of a button. With a wide range of product offerings, the policy caters for the need of every Ghanaian funeral setting from the modest to the lavish, by way of instant cash pay outs or offering a full range of funeral services. Sign onto the Akwantupa policy and exchange the burden of funeral financing for an advantage of convenience and serenity. 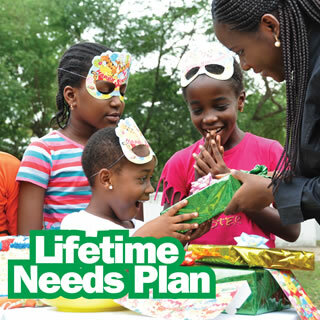 The Lifetime Needs Plan is designed to provide the member with the means of contributing to an investment fund which can meet the members life needs such as child education, retirement etc. and in addition also provide a life cover which becomes payable to the beneficiary in the event of the demise of the Life assured. There are three options available for the member to choose from. This has varying compositions of both the life cover and the investment element. b) Cash Bonus – which is purely investment, a structured, disciplined way to save, at good returns. c) Lump sum payment - The policy holder has the opportunity of making a lump sum payment into the investment account of the policy whenever he or she wishes to do so. No. However you have an option to increase your premium and your benefit automatically on every anniversary year. This will be on compound basis. Enterprise Life will go on cover once the first premium has been received. Once the policy reaches its term, the client qualifies for the full encashment value. The term of the policy is the duration of the policy. The plan is open-ended without a maturity date. Policies terminating after the 10th year will be treated as maturities whilst those terminating before the 10th year will be treated as surrenders. The policy shall terminate on the policy anniversary preceding the policyholder's 70th birthday. All claims should be reported at any ELAC Branch offices. The documents required are spelt out in the policy conditions folder. (See Section G5). • You do not truthfully provide all the information we ask for on your application form. • The plan is in the waiting period if it has the funeral cover benefit option. • If death is as a result of an exclusion. (See Section G.7). Your nominated trustee will make a claim on your life, and any other future claims if applicable, (seesection C 1). • Give us all the information we ask for in the application process. Can I afford the monthly premiums? The minimum premium for the Life Time Needs Plan is only GHË15.00. This excludes the GHp.50 policy fee that the company charges for administering the policy (plan). • Wider family - maximum of six (8) out of the following – parents, parents-in-law, stepparents, foster parents, Siblings, grandparents and additional spouses Definitions of which can be found in section D.16 in the terms and conditions folder. The maximum number of lives to be covered under this policy is 16. · You do not truthfully provide all the information we ask for on your application form. · The plan is in the waiting period. · If death is as a result of an exclusion. See policy terms conditions folder Section D.9. The policy provides 5 annual benefit payments, during the last five years of the policy term, which is to be used to cover the education expenses of the policyholder's child. The life assured is the only member who can be covered and must be aged 18-60 years. However beneficiaries are nominated to benefit under the policy. In the event of the policyholder dying, all future premiums are waived and covered by the insurer. There is a 6 month accident only waiting period on the waiver of premium benefit. ARE THERE ANY AGE LIMITATION? Yes. The minimum age to entry is 18, and the maximum age to entry is 60. Cover ceases at age 70. This limit also defines the maximum term available for each age e.g. for a 60 year old, the maximum cover term is 10 years. If the age of any of the Life Assureds is incorrect any benefit that becomes payable will be recalculated. This condition is not applicable to ages outside 'age at inception' limits. Benefits payable would be repudiated if actual of any life assured is outside the 'age at inception' limit. No, you cannot increase your premiums and benefits once you choose your plan. However you have an option to increase your premium and your benefit automatically on every anniversary year when you opt for an automatic premium update. This will be on compound basis. This option must be selected at the inception of policy. WHEN WILL THE PLAN START? The policy will cease when it reaches its term. The minimum term is 7 years and the maximum is 18 years. Choose the term that meets your child educational needs. All claims should be reported at any ELAC Branch offices. The documents required are spelt out in the policy conditions folder. • The plan is in the waiting period. • If death is as a result of an exclusion. See policy terms conditions folder Section D.9. Your nominated trustee will make a claim on your life, and any other future claims if applicable. The minimum premium for the Educare Plan is only GH15.00 and the maximum is GH200.00. This excludes the GHp.50 policy fee that the company charges for administering the policy. The Family Income Protection Plan aims to give you a regular Benefit if you suffer illness or accidental injury leading to incapacity and a loss of earnings. Your bene?t can replace some of your lost earnings, or if you do not work, it can meet additional expenditure. The policy pays a lump sum equal to the sum assured in the event that the policyholder dies or becomes permanently disabled. To give us all the medical and other information we ask for when applying for your plan and when claiming bene?t. If you don't do this, we may not pay your bene?t and may terminate your plan. To make all the regular premium payments we need for the length of the plan. To tell us of any claim within the time limits we set. In the event of the policyholder being diagnosed with a critical illness, a percentage of the sum assured, is paid. This is an accelerated benefit, and the benefit paid on death is reduced by any critical illness benefits already paid. In the event of the policyholder becoming permanently disabled, the full sum assured. This is also an accelerated benefit. In the event of the death of the policyholder, the full Sum Assured as specified in the schedule is paid. This is reduced by any previous amounts paid under the critical illness or permanent disability benefits. The maximum age at entry is 60. Cover ceases at age 65. This limit also defines the maximum term available for each age e.g. for a 60 year old, the maximum cover term is 5 years. No, you cannot increase your premium and benefit once you choose your plan. However you have an option to increase your premium and your benefit automatically on every anniversary year. This will be on compound basis. If the option is not exercise at the inception of the policy it cannot be exercised later. The duration of the plan depends on the term you choose. However if you are at age 60 the maximum term you can choose is 5 years. Maximum term is 30 years. If death is as a result of an exclusion. Your nominated trustee will make a claim on your life. Pay the required premium every month through your bank. The Ladycare plan is an all female related term assurance product. The product will offer cover for Death, Total Permanent Disability (TPR), Critical Illness (CI), Hospitalization, Maternity Complications and other Female Related Illness. The plan will attract a lump sum payment of the sum assured if you suffer any of the insured invents. Under the plan, these events when they occur will attract a lump sum payment of the sum assured. Benefit payment on this event will be based on the approved percentages of the sum assured for each illness covered. This will attract a fixed amount payable per day to the life assured after a minimum period of three (3)days stay in hospital. This implies that benefits will not be payable if the life assured is hospitalized for a period less than 3 days. However once the minimum of 3 days has been exceeded benefit payments will commerce from day one. Hospitalization benefits will be limited to a maximum period of 30 days per calendar year. 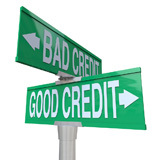 These will payout a lump sum benefit once the insured event has occurred on a graded basis. A lump sum equal to the sum assured will become payable upon the occurrence of the named event. Ten percent of all premiums paid become automatically payable every 5 years if policy holder does not make any claim within those 5 years of the policy. Your policy must be active during this period and all premiums paid. The plan covers only females between the ages of 18 to 60. Cover ceases at age 65. No, you can not increase your premium and benefit once you choose your plan. However you have an option to increase your premium and your benefit automatically on every anniversary year. This will be on compound basis. If the option is not exercise at the inception of the policy it cannot be exercised later. All claims should be reported at any ELAC or Standard Chartered Branch offices. The documents required are spelt out in the policy conditions folder. See Section F.
The plan is in the waiting period. See section C in the policy term and conditions folder. If death is as a result of an exclusion. See policy terms conditions folder Section D.K. The objective of this plan is to insure the obligations of the member in the unlikely event of death. 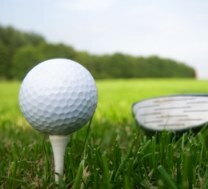 Most conditions of members as well as tradition require and impose financial obligations on the member in the event of death. This includes provision of coffin, donation to the family, transport arrangement and refreshment. This obligation can be insured under the Group Funeral Plan. The plan provides for the payment of funeral and related expenses on behalf of the member in the event of death. The benefits can be extended to cover parents, spouses and children. Benefits levels shall be objectively determined to reflect the expected financial obligations of the member. There are two types of cover namely: the individual cover and family cover. The family cover extends to the spouse and maximum of six children below the age of 21 years. There is a waiting period of six months within which only accidental death is covered. The objective of the plan is to provide employment benefits to employees by assuring them that in the unlikely event of death a multiple of their annual salary will be provided to their spouse and children as replacement income to cushion the effects of death. Death benefit shall be a pre-determined multiple of each employee's annual salary or a fixed sum according to a predetermined formula. Accidental injury benefit can be added as a rider to provide for payment of both permanent and temporary disablement as well as medical expenses claim arising out of an accident. Premiums shall be determined for the group and paid wholly by the employer or with contributions from the employees. Medical examinations are normally not required. But individuals whose benefits exceed an automatic cover limit to be determined for the group will be required to submit evidence of good health. The automatic cover limit will depend on the number of lives to be covered and the salary range. 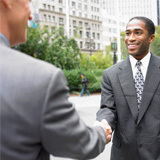 Enterprise Life's Credit Life Policy is tailored for Financial Institutions or companies, which offer loan to clients. This is a single premium policy with a maximum term of 5 years. This provides the payment of death benefits on the death of the life assured or permanently and totally incapacitate. The cover will be applied for by the policyholder who would have been authorised by the life assured in a contract to apply for the insurance and to pay the premiums in respect of such insurance. The initial sum assured shall be the initial loan amount and thereafter shall be the balance. The basis of indebtedness shall be the balance outstanding which will allow for the reduction of the initial sum assured by all instalments which were due to be paid up to the date of death or total permanent incapacitation. The premium is the rate (depending on the number of years for repayment of the loan amount) of the loan amount that is, rate (%) * loan amount. The Life Assured at the date of death or total permanent incapacitated should be 18 years and above but below 60 years. Benefit is payable upon proof of death or total Permanent Incapacitation and the amount is payable to the creditor. Premium is payable at the beginning of the contract. The above quoted rates are inclusive of HIV claims. A three-month waiting period for death due to natural causes will apply. A single premium is paid towards the life and disability cover. The terms of the policy can be up to 5 years. The policy will be on a decreasing term basis i.e. the policy pays out the outstanding loan balance but excludes arrears. Maximum loan will be agreed with Financial Institution. Death as a result of his own act or at the hands of a valid and legally constitutional law enforcement agency with 12 months of the certificate issued to the life assured. The member should not be less than 18 years or greater than 65 years at inception of cover. On the seventh day following the end of each calendar month the financial institution will furnish Enterprise Life with an electronic copy of covered members together with a payment cheque. The objective of this plan is to insure the obligations of the employer in the unlikely event of an employee's death. Most conditions of employment as well as tradition require and impose financial obligations on the employer in the event of an employee's death. This includes provision of coffin, donation to family, transport arrangement and refreshment for other staff members. 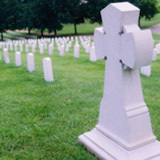 This obligation can be insured under the Group Funeral Plan. The plan provides for the payment of funeral and related expenses on behalf of the employer in the event of an employee's death. The benefits can be extended to cover parents, spouses and children. Benefits levels shall be objectively determined to reflect the expected financial obligation of the employer. Premiums are relatively low and depend on the average age of the group and number of employees to be covered. Medical examinations shall not be required. These are top ups that one can take in addition to the main policy one of which is the Personal Accident. Permanent Disability Cover: This seeks to provide the payment of a lump sum in the event of a covered member being permanently disabled as a result of an accident. The extent of the incapacitation is determined by a medical doctor and thus the payment is made on a pre-determined agreed scale of incapacitation. Temporary Disability Cover: This also seeks to provide the payment of a weekly benefit up to a maximum of 52 weeks as a result of temporary disablement resulting from an accident. The maximum weekly benefit payable is the actual income of the person before the incapacitation. Medical Expenses Cover: This provides cover for medical expenses arising out of an accident up to a maximum pre-determined figure. 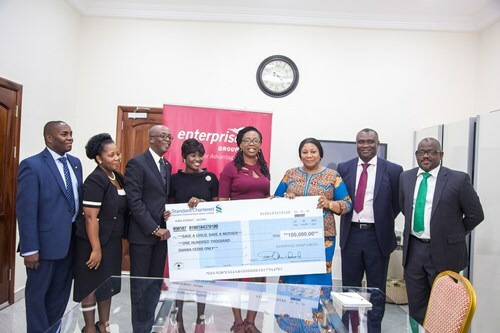 Recognizing the potential of the Life Insurance Business in Ghana, the International Finance Corporation (IFC) as a matchmaker brought together two corporate giants; to form Enterprise Life Assurance Company Limited. Enterprise Life was therefore incorporated in the year 2000 with Enterprise Insurance Company, a listed general insurance company in Ghana, African Life, a South African Life Insurance Company and the International Finance Corporation (IFC), as its initial shareholders. 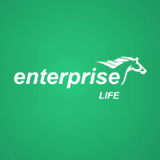 In 2001 Enterprise life was handed her operational license , with a modest beginning of just one branch, pioneering staff of nine, a thirty two member sales force, and a brand identity based on the concept of the Thoroughbred. Sanlam acquired African Life 2006, and subsequently in 2010, Enterprise Life's interest was transferred to the Enterprise Group. Enterprise Life operates as a specialist Life Insurance Company, providing affordable and innovative, life assurance products designed to meet the needs of our policyholders and general public. Our strategy is to distribute life insurance through a diversified distribution channel comprising of Agency, Broker and Bank Channels. We have since diversified our distribution through the Broker and Bank Channels. Enterprise life now has representation in all ten regions in the country, bringing our services and products closer to our clients, ultimately enhancing customer accessibility and eventually customer satisfaction. To improve operations and our service delivery to our policyholders, we installed robust operational software which heighten our speed of operations and allow us to employ additional applications to enhance our operations. Accordingly, Enterprise Life introduced an interactive SMS that enables clients of Enterprise Life access to some personal details on their policies via their mobiles phones 24hours 7days a week as well as the opportunity for client’s access their claims at the nearest Standard Chartered as soon as the claim has been approved and client notified via test messaging. Consequently, Enterprise Life introduced the Queue management system, the first in the industry, to enhance our service delivery thus reducing the time spent at our customer service centers; however this was not the only new introduction. The Arrears Payment Platform affords policy holders with outstanding payments on their policy the opportunity to walk into the nearest Standard Chartered Branch and pay up. Enterprise Life has had impressive growth since 2001 and currently is the number one(1) Life Assurance Company. We have presence in all ten regions of Ghana, and these branches are linked via our wide-area network. We pioneered the distribution of Life Assurance through Brokerage firms and have signed twenty Six (26) Broker Contracts. We are currently the only insurance company in Ghana that employs the use of a state of the art, robust information technology software named Orfeo, which enables us to process claims and access policy details within record time. Introduced a USSD platform for policy status checks and an alternate means of premium payment. We pioneered the Customer Service at your Doorstep activity. Enterprise Life has received a number of awards. These include. Cheetah Award – A Sanlam Group award for new business sales – 2009. Gold Award – 2nd Ashanti Financial Services Excellence Awards for best Insurance Company in Ghana organized under the auspices of the Manhyia Palace. Enterprise Group was created to deliver sustained growth by taking advantage of the profitable business opportunities in sectors of the economy, other than insurance, such as Pensions, Real Estate etc. The group is managed by a team of proven and accomplished professionals who bring their experience and expertise to bear in steering the affairs of the group, ensuring exceptional service to our clients, job enrichment to our staff and increased returns to our shareholders and all stakeholders. 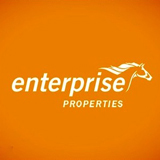 The Enterprise Life brand is based on the concept of "The Thoroughbred". The thoroughbred is a horse of outstanding pedigree with an inherent disposition to the best, born of outstanding parentage, excellence was just their nature. This attribute could be associated with Enterprise Life Assurance Company, mainly as a result of our distinctive and purebred and high performing parental lineage. Enterprise life was therefore born with a hope of delivering the best in its area operations as shown by its parents. Over just five year Enterprise Life Assurance showed compelling evidence through our results that, indeed we are true thoroughbred, with dramatic increases in premium income and market share. The fifth year saw the amendment of our logo with introduction of a visual of the thoroughbred horse, signifying the advancement in our race to excellence. The thoroughbred however, is allowed to race competitively from age five. This was representative of Enterprise Life Assurance Company Limited which had come of age; having delivered on the promise it held as a result of its parentage and can now be seen in the light of its own ability to perform. The previous brand pointed to what we could achieve, by virtue of our parentage, just like the thoroughbred, the brand always pointed to the promise of what we could deliver. The new phase of Enterprise Life Assurance company was poised and ready to deliver an outstanding performance, and true to this Enterprise Life Assurance Company limited has maintain an above market growth status till date. 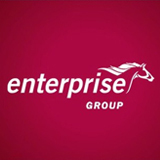 In June 2013 the Enterprise group carried out a rebranding activity which saw an adoption of the thoroughbred as the group logo and its subsidiaries, a change of the corporate colours and other corporate identity elements. The name Enterprise Life then replaced ELAC, an acronym formally representing Enterprise Life Assurance Company Limited. In all our markets, our pedigree will be recognized, our strength respected, our expertise valued and our solutions sought by all who desire an advantage in life. Mrs. Jacqueline Benyi is the Managing Director of Enterprise Life, a company she joined from its inception in 2001. First appointed as a Sales Manager for the Tema Branch, rose to become the Branch Manager and was moved to join the operations team as the Head for Customer Service and later Head of New Business. Jackie was subsequently assigned responsibility as Head of Operations and moved to Head the Distribution division 2 years on. She was further elevated to General Manager prior to her current position. She has 15 years working experience in Life insurance administration with 13 years in leadership position. She holds a degree in Economics and Sociology and an EMBA in Finance from the University of Ghana, Legon. A Chartered Insurer and an Associate of CII, UK. She also has an Advanced Diploma in Life and Disability Underwriting (DLDU) and an Advanced Diploma in Life and Disability Claims (DLDC) from the Assurance Medical Society of London. These qualifications currently make her the first and only Professional Life Underwriter and Life Claims Accessor in Ghana. Jackie is also a product of the Sanlam Senior Management Development Programme which she completed at the University of Stellenbosch and the Sanlam Executive Leadership Programme at the Gordon Institute of Business Science, University of Pretoria all in South Africa. She currently is a member of the Insurance Institute of Ghana and serves in the Professional standards and Ethics committee, a member of the Life Council of the Ghana Insurers Association and heads the Life technical committee for claims and underwriting. In 2014 at the maiden edition of the National Women in Finance Awards she was awarded the Insurance personality of the year 2013 and also the Nobles International Award having being inducted into the West Africa Nobles Forum in 2016. Michael joined Enterprise Group in 2014, with a wealth of experience from Unilever where he started his career and performed various roles within the Finance function. 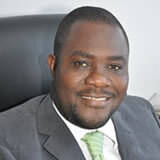 Prior to this appointment at the Group, he was the Financial Controller for Unilever West Africa. 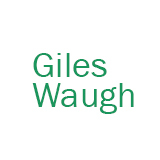 He is a member of the Chartered Institute of Management Accountants – CIMA (UK) and holds a Msc in Strategic Business Management from the Manchester Metropolitan University. Francis joined Enterprise Life in 2005 as a Sales Manager. He then moved to back office to the Operations Team as Head of New Business in 2009. He was appointed as Head of our Broker Relations Department in 2011 and now promoted to Senior Manager Level in charge of Distribution. He holds a degree in Publishing Studies from the Kwame Nkrumah University of Science and Technology in Kumasi and an MA in Archival Studies from the University of Ghana, Legon. He has an Advanced Diploma in Insurance from the Ghana Insurance College and a Certificate in Claims Handling Process with CII, UK. Solace currently manages the business operations of Enterprise Life which includes the management of Technical Services (premium administration, underwriting, reinsurance, claims and forensics) and Customer Service. She holds a degree in Sociology and Political Science from the University of Ghana, Legon and an MSC in Insurance and Risk Management from CASS Business School, UK. She has two papers outstanding to qualify as a Chartered Insurance Professional. She joined Enterprise Life in 2008 as a Unit Head, Group Underwriting and then headed the Corporate Risk and Bancassurance Departments in 2009 and 2011 respectively before she was promoted as a Senior Manager in 2013. In January 2016 she was promoted as an Assistant General Manager for Group Operations and subsequently as a Coordinator for the Enterprise Health Project. Solace has throughout her employment with the business handled portfolios that involve third party relationships and businesses. This has exposed her to handling stakeholder involvement in business generation and retention better. Her affable nature makes it easy for people to relate and engage with her as exemplified in her relationship building skills. She also has an in-depth understanding of the technical aspects of insurance issues. Bernard joined Enterprise Life in June 2008 as an IT officer. In 2010, he was appointed as a Head of the Quality Control Department. 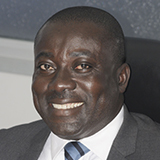 In his time at Enterprise Life, he has headed the IT Department, the Bancassurance (Barclays Bank Ghana) Department, and the Premium Administration Department. Bernard holds a Postgraduate Degree in Strategic Information Systems Management and a BSc (Hons) Computing - Information System from the University of Wolverhampton (UK). He is a Certified Information Systems Auditor (CISA) and a member of the Information Systems Audit and Control Association (ISACA). 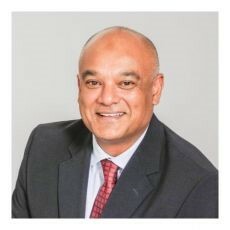 He is a Chartered Insurer and an Associate Member of The Chartered Insurance Institute (CII) UK and has completed a Business Management Program from the University of Stellenbosch in Cape Town, South Africa. 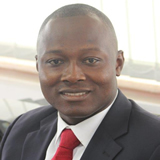 Alex Baah Inkoom, Assistant General Manager, Agency Management joined the team on April 15, 2013. Prior to joining Enterprise Life, Alex worked with Ashesi University College as the Human Resource Manager for 4 years, during which time he also served as a Volunteer Lecturer in Human Resource Management and Leadership courses at the college. Alex started his human resource career in 2002 at Kasapa Telecom, now Expresso Telecom as a Training and Recruitment Officer and worked in several functional areas of HR before becoming the Senior HR Officer from 2007 – 2009. He holds a first degree in Bsc. Planning from the Kwame Nkrumah University of Science and Technology, Kumasi and an MBA in Human Resource Management from the Ghana Institute of Management and Public Administration, Accra. A member of the Institute of Human Resource Management Practitioners, Ghana, Alex is an ardent believer in youth development and volunteers his time assisting various youth groups in churches and schools with making career decisions and choices. He is a Mentor and a member of PIMI, Ghana. Albert has been with the company since February 2006. He was appointed as the first Actuarial Officer and has risen through the various levels and now the Senior Manager Actuarial. He holds a Master of Science degree in Actuarial Science from Heriot-Watt University Scotland, a B.Sc. (Hons) degree in Geological Engineering from the University of Science and Technology, Kumasi, a Postgraduate Certificate in Business Administration from the Ghana Institute of Management and Public Administration (GIMPA), and a Certificate in Business Accounting from the Chartered Institute of Management Accountants (CIMA), UK. He is also an Associate of Institute and Faculty of Actuaries, UK. Rabiatu, who joined the team in April 2015, holds a degree in BSc Administration (Finance option) from the University of Ghana Business School, and an MBA from the University of Leicester, UK. Prior to joining Enterprise Life, Rabiatu worked with Standard Chartered Bank, Ghana, where she began her career as a Management Trainee. She worked in several frontline roles, including Relationship Manager for the High Value Segment, Branch Manager for several branches, as well as Regional Branch Manager overseeing ten branches. Rabiatu joins the Enterprise team with fifteen years of experience in retail banking, customer service and people management. As part of her professional and career development, she has participated in various training programmes in Singapore, Dubai, South Africa, Zimbabwe, Nigeria and Ghana. Harry is a Chartered Insurance Professional (CIP, Canada) and holds an executive MBA in Management from Kwame Nkrumah University of Science and Technology. He also holds a Bsc. in Natural Resources Management as well as a Law degree from Ghana Institute of Management and Public administration. He is also a graduate of the University of Stellenbosch Leadership Development Program from Capetown, South Africa. With over 14 years of industry experience, spanning from the brokerage and mainstream underwriting, Harry has developed a deep understanding of the insurance value chain, which complements his ability to manage client needs, analyze business issues and develop practical solutions for clients. Harry is very passionate about innovation, business retention and the development of Next generation leaders and is an adjunct lecturer at the Ghana Insurance College. Up until assuming his current role, he was the senior manager responsible for Corporate, Specialist Risk and Business renewal. Enterprise Life, the leading life insurer in Ghana and a subsidiary of the Enterprise Group has once again ignited its prowess of innovation. 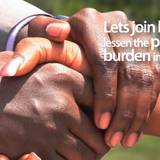 Having pioneered the sale of funeral insurance in Ghana and introduced the first ever alternate premium payment platform, Enterprise Life has now extended its need based life insurance solutions approach to the Ghanaian community living and working abroad with the introduction of the Akwantupa Policy. The objective of this product is to create the necessary platform and support for families living abroad to meet their funeral needs locally. The product was launched at the ever popular “Ghana’s Party in the Park” event in London UK. The senior manager in charge of Technical and Life Administration, Mr. Bernard Ewusie Mensah, said that the newly introduced Akwantupa product is a funeral finance policy tailor made for clients living in the diaspora with family interest in Ghana. “Why go through the stress and hustle of fulfilling funeral obligations when Enterprise Life can lift that heavy burden for you? Why spend your savings on a funeral when Enterprise Life can support you? The product allows the policy holder to determine the level of cover desired. This makes it easy to know how much burial cover is available as well as how much it will cost whiles offering flexibility in premium payments. When the unfortunate event occurs, the policy pays out a lump sum which could serve as the policyholders’ contribution towards the burial needs of their loved ones back home. 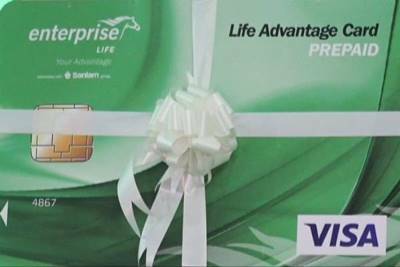 Enterprise Life recently introduced life changing products such as the Enterprise Living Plus Plan and the Executive Plus Plan, both products targeted towards its high end clientele offering limitless cover options for prospective customers. In addition the company also out doored an innovative and visa enabled card, the Advantage Card, an industry first, which aids policy holders to access their claim benefits and enjoy loyalty discounts at some selected outlets. Enterprise Life is committed to its promise of providing all who come into contact with it their desired advantage, because it is the best at what it does. 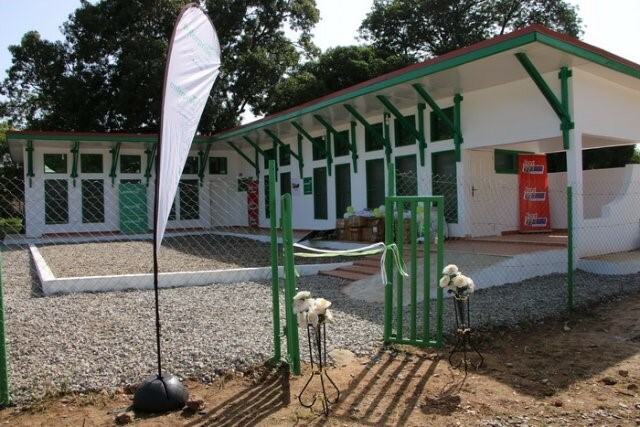 SOS Children’s Villages Ghana has had an inauguration ceremony to unveil the newly constructed social centre that was proudly sponsored by Enterprise Life and Sanlam, South Africa. 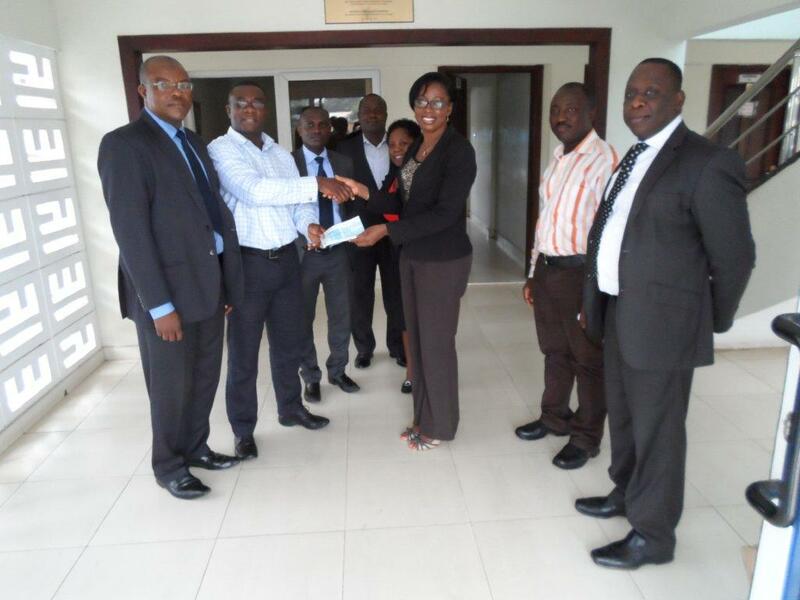 The sponsorship amount, which was GHC 485,000.00 forms part of the fulfilment of Enterprise Life and Sanlam-South Africa’s corporate social responsibility to promote quality education and health for vulnerable children in Ghana. It was also in response to a request by SOS Children’s Villages Ghana to Enterprise Life to support the construction of a well-designed multipurpose social centre for children at SOS Children’s Village Kumasi. SOS Children’s Villages Ghana is a non-profit social development organisation with strong emphasis on child welfare and works to ensure that underprivileged children are given the appropriate opportunities needed in life to facilitate their growth and development. SOS Children’s Village Programme in Kumasi is one of four Children’s Villages in Ghana and is located at Asokore Mampong. It provides a loving and supportive family setting under a Family Based Care for 115 children in 12 family houses and 1 youth home. Enterprise Life is owned by two financial giants – Enterprise Group, which is a leading financial services Group in Ghana with a vision to offer financial security from cradle to grave and Sanlam, a leader in wealth creation and insurance in Africa with presence in 11 African countries, India, Malaysia and niche businesses in certain developed markets. As compared to other insurance companies in Ghana, Enterprise Life is a relatively young company but through its 15 years of existence has risen to become the leading Life Insurance Company in Ghana. Apart from an excellent corporate culture and world class products, Enterprise Life is focused on improving the general wellbeing of its clientele and Ghanaian families as a whole and this is evidence in its solid Corporate Social Responsibility Culture driven by its core values of Friendliness, Professionalism, Reliability, Excellence and Trust. The newly established social centre comes as a relief to the SOS Children’s Village Kumasi in terms of providing a suitable multi-purpose facility with a spacious auditorium among others to host different social activities related to child growth and development and will cater for both SOS children and students of the Hermann Gmeiner School. It is the first of its kind since the establishment of the SOS Children’s Village Kumasi in 2010 and presents an opportunity for children to freely socialize and participate actively in educational oriented activities such as school concerts, art exhibitions and workshops. Aside hosting social events in the interest of children, the facility will also serve as a suitable location where Junior High School students of the SOS Hermann Gmeiner School can undergo practical sessions for the Basic Design and Technology (BDT). The National Director, Alexander Mar Kekula of SOS Children’s Villages Ghana expressed his profound gratitude to the sponsors for their immense support for his organisation over the years. “This is not the only project Enterprise Life has supported us with, and this is a genuine expression of their determination in partnering us to support vulnerable children to ensure that their education and psychological needs are met in due course” he said. 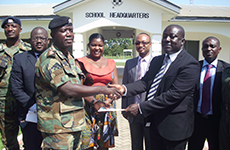 Mr. Alexander Mar Kekula revealed that aside the social centre, Enterprise Life and Sanlam had also in previous years supported the organisation by donating cash and items in support of the growth and education of the children at the SOS CV Ghana. “This has gone a long way to put smiles on the faces of these children as they know that someone cares for them”, he said. Mr Kekula lauded the initiative by Enterprise Life and urged individuals, corporates and other NGOs to partner the SOS Children’s Villages Ghana in working to ensure that vulnerable children are supported to grow in a loving and secured environment, where they can access educational facilities specially designed to encourage their overall mental and psychological development. On her part the Executive Director of Enterprise Life, Mrs. Jacqueline Benyi expressed satisfaction that Enterprise Life and Sanlam-South Africa have been able to complete the project on schedule. She said that the “Advantage Hall” as the social centre is named will serve not just the educational needs of the children but will also support their holistic growth as it provides them with other learning and development opportunities beyond the classroom. The “Advantage Hall” will give to orphaned children what Enterprise Life has always given Ghanaians, an Advantage in Life. An Advantage to a better life, an Advantage to realise their innocent childhood dreams, an Advantage for them to be the best human beings they can be and also for them to provide an Advantage to others. She re-iterated that Enterprise Life had ventured into many Corporate Social Responsibility partnerships, but however, the company’s partnership with the SOS Foundation was one that brought the company much fulfilment, and one that has a unique place in the hearts and minds of all stakeholders of the business. “United Nation’s statistics show that currently there are over 1 million orphans in Ghana, and the numbers are increasing daily. The potential of this 1 million, if harnessed well, under well-structured programs like the SOS initiative, can only bode well for the country. Enterprise Life and Sanlam have realised this and can only hope that other companies will follow suit”. 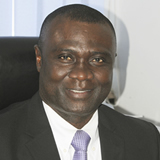 The insurance Industry in Ghana is gradually shifting dominance to the Life sector. Provisional production figures available to the Business and Financial Times have indicated that in 2015 gross premium income earned by the top three life insurance companies upstaged its non-life counterparts. Although the figures are unaudited, the gross premiums earned by Enterprise Life, SIC Life and Star Life made these companies top earners of premium income in the industry. Most analysts foresee the life sector as the future of the risk bearing industry in Ghana. Enterprise Life within its short period of operation is now the number one premium earner in the Ghana Insurance Industry. In the 2015 accounting year, provisional figures proved that the company controlled about 28.31% market share. Gross premium income (GPI) grew from GHC 156.244 million in 2014 to GHC 200.436 million in 2015, with the change in income of about GHC 44.360 million representing 28% growth. Insurance industry analysts predict a brighter future for the company’s growth from 2017. Until 2014 SIC Life was the number-one premium earner in the country. 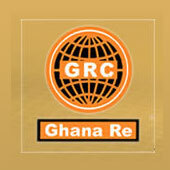 SIC Life that year topped the Life and Non-Life sector’s income by earning GHC 158.323 million. That year SIC controlled a market share of 27.65%. Surprisingly, in 2015 SIC Life was downed to the number 2 position by Enterprise Life by a margin of about GHC 19.154 million. “We saw a change in the top position coming since 2014, when Enterprise Life narrowed the margin in premium income. That year the difference was less than three million Ghana cedis,” say some industry watchers. Star Life has gradually moved itself to upstage GLICO Life, which has moved to fourth position. Star Life grossed income of about GHC 82.50 million in 2015 with a market share of 11.65% to make it the third-largest income earner in the industry. Enterprise Group Limited has elevated Daniel Larbi-Tieku, General Manager (Finance) of one of its subsidiaries- Enterprise Life as the Group Chief Finance Officer (Group CFO). Daniel is a Charted Accountant and a member of the Institute of Charted Accountants, Ghana. He is also a Fellow of the Association of Charted and Certified Accountants, UK. Daniel joined Enterprise Life in June 2011 as General Manager, Finance from the Coca-Cola Bottling Company, where he started as a management Accountant in 1998 and rose through the ranks to become Head of Finance in the year 2000. Prior to joining Coca-Cola in 1998, Daniel worked in different capacities with Rank Hovis UK and Allied Waithamstow. Seminars and training programs; notable amongst these were Coca-Cola Fast 1&2 development programs; National Examining Board for Supervisory Management, UK; Process and value engineering in Manufacturing, UK. He currently serves on the boards of Enterprise Trustees Tier- 2, Enterprise Trustees Master Fund, and Enterprise Trustees Tier-3. Enterprise Group appoints Michael Tyson as General Manager, Finance for Enterprise Life. Michael Tyson takes over from Daniel Larbi-Tieku as the General Manager, Finance effective 1st April 2016. He would be responsible for financial management for Enterprise Life business. His career with Enterprise started when he was appointed Group Head, Finance on October 1, 2014. He joined Enterprise Group, with a wealth of experience from Unilever where he started his career and performed various roles within the Finance function. 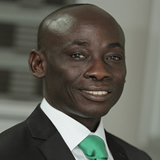 Prior to this appointment at Group, he was the Financial Controller for Unilever West Africa. He is a member of the Charted Institute of Management Accountants-CIMA (UK) and holds an MSc in Strategic Business Management from the Manchester Metropolitan University. A New Page in the Life of Enterprise Life. Enterprise Group has announced the appointment of Mrs. Jacqueline Benyi as Executive Director of Enterprise Life. Mrs. Benyi takes over from Mr. C.C. Bruce (Jnr) who has been elevated to the position of the Chief Operations Officer of Enterprise Group. Jacqueline joined the Company at its inception in 2001 as a Sales Manager and became the Tema Branch Manager in 2002. She has risen through the ranks and held various positions including Head of Customer Services, Head of New Business, Assistant General Manager-Sales & Marketing and General Manager, Operations. She holds a degree in Economics and Sociology from the University of Ghana. 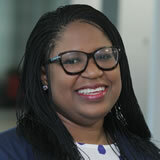 She is also a Chartered Insurer and Associate of the Chartered Insurance Institute, UK. Jacqueline further holds Advanced Diplomas in Life & Disability Underwriting and Life & Disability Claims from the Assurance Medical Society of London. These qualifications make her the first Professional Life Underwriter and Claims Accessor in Ghana. 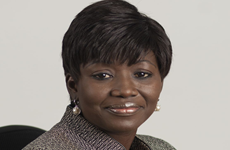 In 2012 she obtained an EMBA in Finance from the University of Ghana Business School. She has also completed a Senior Management Development Program from the University of Stellenbosch and Executive Leadership Development Program at the Gordon Institute of Business Science, University of Pretoria. Speaking to Mrs. Benyi, she reiterated her passion to continue upholding the outstanding feats and successes chalked up by her predecessor. Mr. Keli Gadzekpo Chief Executive Office – Enterprise Group said “Jacqueline has demonstrated her capabilities in terms of technical knowledge and leadership qualities, and I have no doubt that she will build on Mr. C.C Bruce jnr’ s firm foundation. According to Mr. Trevor Trefgarne -Chairman, Enterprise Group “It gives the Enterprise Group Board (EGL Board) great pleasure to see our Executives accept these opportunities and play greater roles in continuing the outstanding growth of Enterprise. We have very talented people, well able to deliver on the Group's great expectations. Finally, Mr. Heinie Werth -CEO, Sanlam Emerging Markets said “I congratulate you and wish you all of the best in your new positions - well done! You deserve these promotions and new/added responsibilities. I have no doubt you will be extremely successful in your new positions from January onwards. Enterprise Life from its inception in 2001 has maintained an above-market performance ending the third quarter of 2015 as the highest premium income earner in the Life insurance industry. 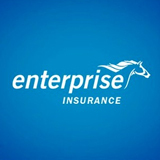 Enterprise Life, Still the leader in the Insurance Sector. Enterprise Life for the fourth consecutive time, maintained its enviable position as the highest ranked insurance company in 2014. This was made known at the Ghana Club 10 awards ceremony held on Thursday October 22, 2015 at the Banquet Hall- State House, here in Accra, organized by the Ghana Investment Promotion Center. The event saw the top hundred captains of industry rewarded for their efforts during the period under review. 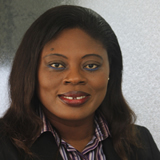 According to the Chief Executive Officer of the Ghana Investment promotion Centre (GIPC) Mrs. Mawuena Trebarh, the center recognizes the private sector as a key player in the development of the country and as such will continue to celebrate and motivate Ghana’s leading businesses in all sectors of the economy. Enterprise Life, was first ranked as the Leader in the Financial Services Sector in 2010 and the highest ranked insurance company in Ghana by the Ghana Club 100, until 2012 when the award was amended to cover only the Insurance sector. “These awards and recognition are a result of our passion for what we do and an equally strong urge to continue to improve on our product offering and performance. 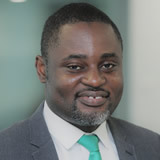 Mr. C.C Bruce (Jnr), went on to assure policy holders and prospective clients, of the company’s unrelenting effort at improving service delivery, the introduction for a number of customer service touch points and customer- focus initiatives with the aim of addressing policy holder concerns and request. The Executive Director, urged the general public to continue patronizing life polices from Enterprise Life since they were developed purposely to place the Ghanaian at an advantage in life. Enterprise Life’s radio advert “Tomorrow Is not Promised “was adjudged the overall best Radio Commercial of the year 2014 by the Chartered Institute of Marketing Ghana (CIMG). This was announced at the just ended awards ceremony held on Saturday 19th September, 2015 at the Banquet Hall - State House, Accra. The award was conferred on the company in recognition of the innovative advert which was well produced, executed and clearly supported the brand. The accompanying citation read – “You have been able to use emotions to craft a message that is revealing and compelling to bring out the realties that have always been neglected and you succeeded in carrying all of us along with the message which has touched base with your numerous clientele “. It continued by stating that “ Your intention to creatively use words to bring reality and some revealing truths much closer to your target audience and let them know that life may not always go as they have planned, has earned and captured the attention of a captive audience”. In the words of CIMG, the radio advert seamlessly drew out the importance of insurance in a world full of uncertainties. Receiving the award, the Senior Manager for Distribution, Mr. Francis Akoto-Yirenkyi thanked CIMG for the award and dedicated it to all stakeholders especially their cherished customers for choosing Enterprise Life as their preferred life assurance partner and also to staff for their dedication to duty. He mentioned that excellent customer service delivery is on top of the agenda of the company hence the recent launch of a Customer Service Charter which will, among other initiatives, drive home a customer centric agenda across the entire business. Indeed TOMMORROW IS NOT PROMISED but with Enterprise, life goes on. Enterprise Life still remains the most decorated life insurance company in Ghana, having won the CIMG- “Life Insurance Company of the Year” on three (3) previous occasions (2009, 2011 and 2013). Enterprise Life currently has representation in all the ten regions in Ghana, and this has been complimented by the Introduction of the “Life Centre”. These mobile offices are stationed at strategic areas within the country to serve policy holders who by virtue of their work schedules are unable to access our regular offices. Enterprise Group Ltd. held its Fifth Annual General Meeting on Thursday 18th June 2015 at the Accra International Conference Center. Despite the challenging business environment in 2014, Enterprise Group posted impressive results for the year ended 2014. The Group posted a profit after tax of GH¢61.3m against the prior year’s GH¢39.7m representing a significant growth of 54.5% . Group Net revenues rose to GH¢288.4m as compared to GH¢230.9m in 2013. Net investment income was GH¢74.5m, representing a 25.8% of net income, and represented a growth of 9.6% versus prior year’s performance of GH¢68m. Enterprise Insurance and Enterprise Life still represent the most significant subsidiaries in terms of financial performance. Both businesses continue to show great potential for growth, delivering growth rates of 14.9% and 26.84% respectively in the General and Life Insurance markets. Enterprise Trustees Ltd the Group’s pensions subsidiary reported profit after tax of of GH¢206K in 2014 as against a loss of GH¢2.14m in 2013. Mr. Gadzekpo assured both shareholders and clients that the Group and all its subsidiaries were strongly positioned for the future in every market we operate in. H. E. Mrs. Margaret Clarke-Kwesie and Mr George Otoo were re-elected by the shareholders as Directors of the company at the Annual General Meeting. Enterprise Life in partnership with Sanlam, one of the largest financial service groups in South Africa will on this Thursday March 26, 2015 cut sod for the construction of a social Centre for the children of the SOS Children’s village in Asokore Kumasi. The project forms part of Enterprise Life’s Corporate Social Responsibility (CSR) agenda and the company’s objective of giving back to society. The construction of this social center which is scheduled to be completed within 18 months is being funded by the Enterprise Life and the Sanlam Group from South Africa. The facility when completed will serve a variety of purposes which include family meetings, get-together for the children and partnership meeting places among others. The SOS Village believes that this project will go a long way in enhancing the social impact and accountability the organization is strives to create for the children. A delegation from Sanlam-South Africa headed by the Corporate Development Executive Mr. Thabied Majal will be in the country to perform the sod cutting ceremony. He will be assisted by the Executive Director of Enterprise Life Mr. C.C Bruce (Jnr) and other senior management members of Enterprise Life. Whiles in the country Mr. Majal will also take the opportunity to interact with staff and stake holders of Enterprise Life as well as pay a courtesy call on the Chief Executive Officer (CEO) of the Enterprise Group, Mr. Keli Gadzekpo and the South African high Commissioner to Ghana H.E. Lulama Xingwana. Sanlam is one of the major partners of Enterprise Life, holding 49% shares in the Ghanaian company and the remaining 51% shares are held by the Enterprise Group. Sanlam has over the years supported Enterprise Life in terms of training, advisory services, product development, technical and infrastructural support, research and development, among other things. Sanlam currently has representation in 14 other countries across the world. Enterprise Life operates as a specialist Life Insurance Company, providing affordable and innovative life assurance products designed to meet the needs of its policyholders and general public from the cradle to the grave. Enterprise Life has representation in all 10 regions of Ghana, bringing its services and products closer to its clients, ultimately enhancing customer accessibility and eventually customer satisfaction. Currently, the Enterprise Life is the Most Decorated Life Insurance Company in Ghana, being adjudged the 3rd Most Prestigious Company in Ghana by the GIPC Ghana Club 100 rankings for three consecutive years and the highest ranking insurance company in the Ghana Club 100. 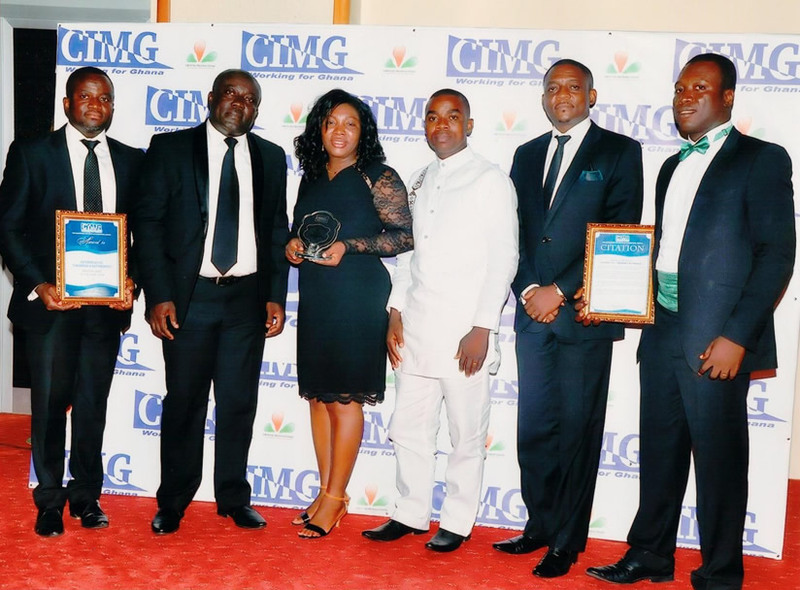 In 2014 the Chartered Institute of Marketing Ghana again adjudged the company as the CIMG Life Insurance Company of the Year. Meanwhile, Enterprise Life plans to roll out some exciting products and programs aimed at improving customer satisfaction in the coming month. Enterprise Group Limited has sold a 40% minority stake in its subsidiary Enterprise Insurance Company Limited, to Sanlam Emerging Markets Proprietary Limited of South Africa (“Sanlam”), subject to regulatory approvals. Sanlam is an existing shareholder in two other companies within Enterprise Group: Enterprise Life Assurance Company Limited and Enterprise Trustees Limited. The 13-year old partnership between Enterprise Group and Sanlam has been mutually beneficial and very successful, and it is expected that bringing Sanlam into the general insurance business will enhance the Group’s operations as a market leader in Ghana’s insurance industry. Ernestina Abeh, General Manager Operations, says “The involvement of Sanlam will greatly enhance our prospects for Global businesses. Our aim to be No 1 is truly within reach”. Phyllis Woode-Nartey, Head, Business Development & Communications says “We believe that this partnership ushers in an exciting era for this company as we benefit from an infusion of new ideas, new skills and a fresh new outlook. We look forward to great times ahead”. Alexander Ahenkorah- Anane, Head, Finance says “The partnership presents a strong financial buffer for the company, once again setting us ahead of the competition”. Keli Gadzekpo, CEO of Enterprise Group, says “we are delighted with this opportunity to further strengthen our relationship with Sanlam. No doubt our shareholders will also be pleased with the increase in the Group’s cash reserves and what this transaction means for our ambitious growth strategy”. From the Human Resource perspective, the opportunities for employee development are enormous. This is certainly a great time to be an employee of Enterprise. Sanlam is a fully diversified financial services business with operations in countries across the Continent including Botswana, Namibia, Malawi, Kenya, Tanzania, Rwanda, Zambia, Ghana, Nigeria, Uganda and Swaziland. Enterprise Group retains 60% majority shareholding in Enterprise Insurance Company Limited. 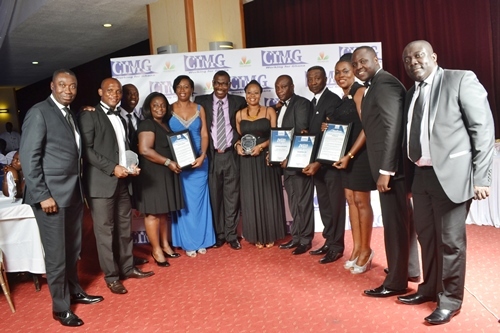 In a ceremony held at the Banquet Hall in Accra on 18th October 2014, Enterprise Insurance was crowned the Insurance Company of the Year 2013, by the Chartered Institute of Marketing, Ghana (CIMG). Enterprise Life was also awarded the Insurance Company of the year, Life. We are in great company with Brands that we insure such as Unilever, Total, Interplast, Opportunity International, Fidelity Bank, Mechanical Lloyd, Yoks Investment all of whom also received awards. Indeed, Birds of the same feather flock together! Our hard work has been recognized, Our pushing the limits of our trade has been independently endorsed! Congratulations to you our cherished clients and stakeholders. You made this happen by God’s Grace! 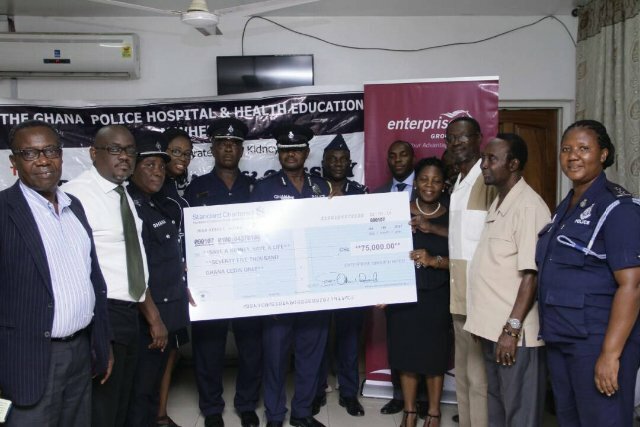 Enterprise Group Limited, on 6th August 2014, donated an amount of Ghc 14,039.02 to the Forensics Department of the Ghana Police Service. The donation was in response to a request for assistance from the Forensics department with regard to training costs for some of its key personnel. In making the presentation, The Head of Business Development, Communications and Sales, Mrs Woode-Nartey stated that the donation was in recognition of the Department’s need for continuous skills upgrade to keep up with the increasingly sophisticated nature of crime. 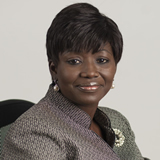 Mrs Amma Ansah, the General Manager for Human Resource Development for Enterprise Group explained that even though most of the company’s corporate social responsibility activities were in the areas of child education and health, the company had seen fit to make an exception in this case because of growing public concern about crime in general. The Enterprise team made up of Mrs. Amma Ansah, Mrs. Phyllis Woode-Nartey, Osman Abudu, Head of Claims Department, Osman Tankari, Head of Forensic Department and Alex Baah Inkoom, HR Business Partner for Enterprise Life were taken on a tour of the department’s facilities by representatives from the Forensic Department, namely Chief Superintendent David A Adjem, Chief Inspector Richard Quarshie, Deputy Superintendent Godwin Lavoe, Deputy Superintendent Kofi Abban and Deputy Superintendent Mercy Agyapong. The Enterprise Team described the tour as “extremely fascinating and enlightening”. Receiving the donation on behalf of the Forensics Department, The Director of the Forensic Laboratory, Chief Superintendent David A. Adjem expressed his deep gratitude to Enterprise and its subsidiaries and assured the company that the money would be used for the intended purpose. He called on all corporate bodies to emulate the example set by Enterprise. 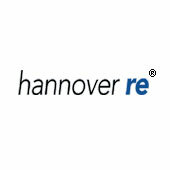 For two consecutive years, 2012 and 2013, Enterprise life a subsidiary of Enterprise Group, can now boast as the most efficient life insurer in the country: The revelation follows a life insurance survey that has been conducted by the Business and Financial Times (B&FT) for the 2013 accounting year. The analysis pointed to the fact that Enterprise Life also emerged the most profitable life underwriter in that year. 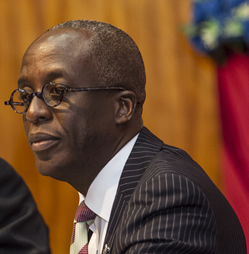 The life insurer made a profit after tax of GHc 34,372 million in the year under review, a head of the market’s largest premium income earner whose profits were GHc 9,288 million. B&FT’s analysis also proved that the efficiency levels of all the life companies in 2013 did not change much from 2012. SIC life maintained its third position likewise Star Life which retained its fifth slot. GLICO life moved from fourth most efficient in 2012 to second in 2013. The company was also the second most profitable insurer that year behind Enterprise Life. Some of the ten most efficient companies in the year under review included Provident Life, who dropped from second position in 2012 to fourth. Ghana Union Assurance came sixth; Quality life took the ninth spot while UT Life and Ghana Life took the eight and tenth slots respectively. The ten most efficient life companies contributed about GHc 467.6 million out of the total market premium of GHc467.8 million, representing 92 percent. The Group's social commitment has had a two faceted approach. Our principle and criteria for support are in promoting health and education across our footprint. 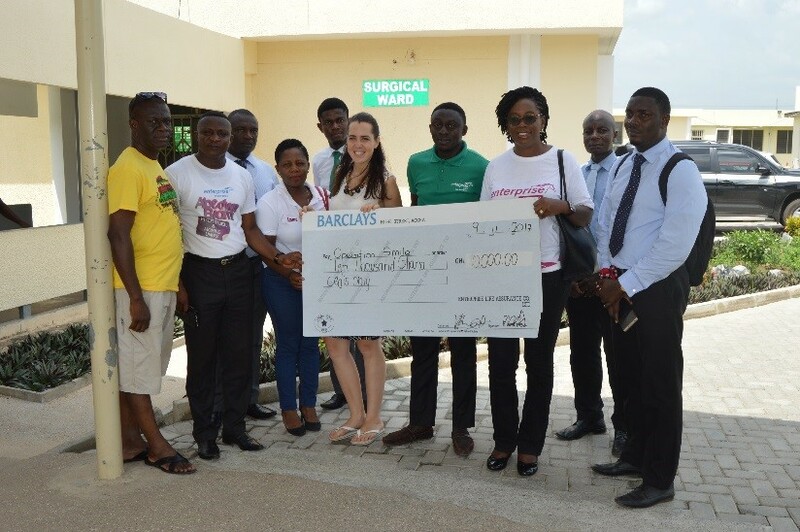 In 2012, we shifted our focus from providing assistance generally to a community and took a focused approach in supporting some key associations and organizations that have been under funded over the years such as the Autism centre in Accra. We have nonetheless kept our promise on on-going projects, key amongst them, our library project in the upper west region. 7th January 2014, Accra, Ghana: Airtel Ghana, in partnership with MicroEnsure and Enterprise Life, has launched a free insurance product for Airtel customers. Airtel Insurance offers Airtel customers life, accidental permanent disability and hospitalisation insurance with benefits increasing based on airtime usage. The experience and commitment of these organisations to provide insurance for the mass market has brought Airtel Insurance to the masses. As the most benefit-rich free mobile insurance product in the world, this offer has far-reaching implications for the Ghanaian population. Any Ghanaian resident between the age of 18 and 75 years, in any region, can qualify for cover, making it the most widely accessible insurance cover in Ghana. Airtel Insurance rewards loyal Airtel customers with a renewable monthly life, permanent disability, and hospitalisation cover based on the amount of monthly airtime used. Subscribers can qualify for this insurance by spending as little as GHS 5 with Airtel each month, and as they increase their monthly usage, they earn more insurance cover – with up to GHS 2,500 of insurance cover per month. Airtel Insurance becomes active on the first day of month following registration, and is based on the amount of airtime used the previous month, with a minimum monthly usage of GHS 5 to qualify for cover. Mr. C.C. 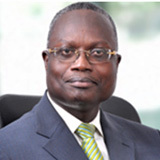 Bruce, Executive Director of Enterprise Life Assurance Company Ltd, said, "Enterprise Life is committed to product innovation in our bid to meeting the ever changing needs of our clients as well as making our products and service available to all Ghanaians." Airtel is driven by the vision of providing affordable and innovative mobile services to all. Airtel has 17 operations in Africa: Burkina Faso, Chad, Democratic Republic of the Congo, and Republic of the Congo, Gabon, Ghana, Kenya, Malawi, Madagascar, Niger, Nigeria, Rwanda, Seychelles, Sierra Leone, Tanzania, Uganda and Zambia. Airtel International is a Bharti Airtel company. For more information, please visit www.airtel.com, or ‘like’ the Airtel Ghana Facebook page via www.facebook.com/airtelgh or follow us on Twitter via the handle @airtelghana. Enterprise Life operates as specialist Life Assurance Company, providing affordable and innovative, life assurance products and services designed to meet the needs of our policyholders and general public. Enterprise Life Assurance Company Limited has since its inception established itself as the fastest growing Life Insurer in Ghana. In 2011, at the eleventh edition of the Ghana Club 100 rankings, Enterprise Life was ranked No.1 in the Financial Services Sector, and the 3rd most prestigious company in Ghana as well as the highest ranked Insurance Company in Ghana, rankings we have retained in 2012 and 2013 as well. Founded in 2002, MicroEnsure is the world’s first and largest organization whose sole focus is to address the mass market’s need to mitigate risk. MicroEnsure provides a range of micro-insurance products to over four million people throughout the world, with two million in Africa, 80% of whom have not previously been insured. As an intermediary, MicroEnsure bridges the gap between mass-market distributors and insurance companies. MicroEnsure works to create markets in partnership with product distributors, enabling them to utilise insurance as a key marketing and sales tool. MicroEnsure performs a range of services throughout this process, including product design and development, client education, underwriting and claims administration. Enterprise Life for the third time running has maintained its enviable position in the Ghana Club 100 rankings. This was made known at the awards ceremony held on Friday 18th October, 2013 at the Banquet Hall- State House, here in Accra, organized by the Ghana Investment Promotion Center. The event saw the top hundred captains of industry rewarded for their efforts during the period under review. According to the Chief Executive Officer of the Ghana Investment promotion Centre (GIPC), the center recognizes the private sector as a key player in the development of the country and as such will continue to celebrate and motivate Ghana’s leading businesses in all sectors of the economy. Mrs. Mawuena Trebarh went on to state that the GIPC believes corporate Ghana has the capacity to compete with the best globally and it is the hope of her center to push for the adoption of policies to encourage innovative entrepreneurship. Enterprise Life, made its debut into the prestigious club 100 category in 2009 at an impressive entry level of 16th position, and the highest ranked life insurance company in the Ghana Club 100. 3rd Most Prestigious Company in the Ghana Club 100 and still the highest ranked insurance company in the Ghana per the rankings. MR C.C. Bruce (Jnr.) the Executive Director of Enterprise Life was again full of admiration and appreciation for their cherished policy holders for all the support over the years. Mr. C.C Bruce (Jnr), went on to assure policy holders and prospective clients of the company’s relentless effort at improving service delivery and the introduction of a lot more exciting products. He ended by urging the general public to continue patronizing products and services from Enterprise Life which were made purposely to place the Ghanaian at an advantage in life. Wider family - maximum of six (8) out of the following – parents, parents-in-law, stepparents, foster parents,Siblings, grandparents and additional spouses Definitions of which can be found in section D.16 in the terms and conditions folder. The maximum number of lives to be covered under this policy is 16. No you cannot increase your premium and benefit once you choose your plan. However you have an option to increase your premium and your benefit automatically on every anniversary year when you opt for an automatic premium update. This will be on compound basis. This option must be selected at the inception of the policy. Yes, Ten per cent of all premiums paid becomes payable every 5 years if policy holder does not make any claim within those 5 years of the policy. Your policy must be active during this period and all premiums should have been paid. When the life assured dies through accident the policy will pay double the life cover. This applies even when death occurs within the 6 months waiting period. You will also enjoy a Family Support Benefit after the death of the life assured. This is paid in 6 month's installment. There are two optional add-on benefits available. It cannot be taken on its own on a separate application form. The Ghana club 100 rankings are opened to all companies and are based on size, profits, and growth. The Ghana Club 100 has also come to be recognized as a listing of the 100 most prestigious companies in Ghana. Enterprise Life was ranked the No. 1 in the Financial Services Sector and the 3rd most prestigious company in Ghana, not only leading in the insurance industry this time round, but leading the entire financial sector in Ghana. Birch-Mensah went on to say that the launch was graced by dignitaries from both Gambia and Ghana including George Otoo, Group Managing Director, Enterprise Group; C.C. Bruce (Jnr). Executive Director, Enterprise Life Ghana; Abdou Kolley, Minister of Finance and Economic Affairs, Gambia; Amadou Colley, Governor, Central Bank of Gambia; and Bai Mathar Drammeh, President West African Chamber of Commerce. Enterprise Life in the last couple of weeks has chalked landmark achievements in Ghana and in the insurance industry in particular. Enterprise Life's achievement comes on the back drop of the fact that it started operating in September 2001 and thus will be celebrating its 10th anniversary next year. Enterprise Life has certainly become a standard in the industry following its performance in the last nine years. The Ghana Club 100 is a prestigious club instituted about 20 years ago by the Ghana Investment Promotion Council as a reference for potential investors both local and international. The council engages the services of reputable consultants who determines the key performance areas and the weighting for every particular year. This year it is estimated that there were over 3000(three thousand) companies from every industry in Ghana participated. Enterprise Life is ranked 16th in the Ghana Club 100, and even more exciting is the fact that Enterprise Life is the highest ranked Insurance Company in Ghana Club 100. "Your Marketing innovation and visibility, evidenced by your market share which stood at 19.8% in 2009, the highest growth rate in the industry of 51% and a marketing spend growth of 1.1% of premium income is indeed commendable. You have built and exclusive brand through you very active sales force, the biggest in the industry"
In addition to the citation, Enterprise Life has the highest output per head in the industry and is the most profitable life company. Enterprise Life returned the highest on the equity in Ghana and the largest file size in Ghana. We seek to improve on this performance to coincide with our 10th anniversary. Enterprise Life was adjudged the life insurance company of the year 2011 by the Chartered Institute of Marketing Ghana (CIMG) at the just ended awards ceremony held at the Banquet hall, State house- Accra. their ability to excite the market as demonstrated by their ceaseless efforts at marrying market insights with decision making and corporate social responsibility initiatives. A citation accompanying the awards read "Enterprise Life has since its establishment in September, 2001 remained focused on their vision to be the leader in the life assurance service delivery in Ghana, a path they have chartered painlessly and maintained their status as the pacesetters in the Life assurance industry". The citation went on to mention how those strategies had culminated in Enterprise Life's introduction in several life enhancing products such as the Enhanced Funeral finance Plan , Enhanced life time Needs plan and the Claim Xpress service, with the help of highly motivated staff. Enterprise Life's policy of "One visit for Claim Payment" and faster claim settlement has resulted in an increase in value of new business generated to 128 per cent. The citation went on to say "your total knowledge and understanding of the market place has urged you on to create more distribution outlets and create more innovative products through a highly trained and motivated team to reach every nook and cranny of the country." In 2006, Enterprise Life diversified its distribution through the Broker Channels. This strategic partnership was the first of its kind in the country and has served as a benchmark for others in the industry. We currently have contract with ten(10) reputable brokerage firms that include the top five brokers in terms of premium income in the country. From a modest contribution of 6% of total sales made in in 2006, the broker channel as at 2011 contributed 22% of the total sales made. Former LG Building Opposite Latex Form Showroom North Industrial Area Accra. Ground Floor, Mina Center Building Plot No. 168, Block D, West Nhyieso Ahodwo- Kumasi. Community 18 Junction Around KFC, Numero Uno Building. 1st Floor, Platinum Plaza Block B, Off Weija-Kasoa Highway, Close To West Hills Mall. How do I carry out my claim request? How do I get to know the status of my policy? How do I amend my bank details? Client must fill and sign ELAC request and mandate forms. NB. Officer must ensure that the digits of the account number are up to the required number, and ensure that the bank's branch is stated on the mandate form. How do I amend my mode/method of payment? Client must fill and sign ELAC request form and CONTROLLER mandate form. How do I modify my date of birth? Fill ELAC request form or submit a letter to change date of birth. Client must indicate name of life whose date of birth is to be changed, his/her role on the policy and the new date of birth of that life. NB. Officer must ensure that the age to be changed falls within the policy's age limits. How do i revise my trustee? Client must indicate the name and date of birth of the new trustee, the relationship of the trustee to the client, as well as the contact details of the new trustee. How do I modify the number of beneficiaries on my policy? Fill ELAC request form or submit a letter to add beneficiary to policy. Client must indicate the name and date of birth of the new beneficiary, as well as the relationship of the beneficiary to the client. Fill ELAC request form or submit a letter to change beneficiary. Client must indicate the name of the beneficiary he wishes to replace, as well as the name and date of birth of the new beneficiary, and the relationship of the new beneficiary to the client. How do I increase the covered lives on my policy? Client must indicate the name and date of birth of the new life, as well as the role he/she is to play on the policy. E.g. mother, father, guardian… etc. NB. Officer must ensure that the age of the new life falls within the policy's age limits. How do I remove a life covered by my policy? Client must indicate the name of the life he wishes to remove from the policy. How do I remove a life from my policy that was wrongly covered? How do I buy a cash bonus feature on an existing policy? Client must indicate the amount of cash bonus he wishes to add to his policy – from GH¢5to GH¢10.00. Client must complete and sign ELAC request and mandate forms (or Controller mandate forms if premium is deducted from Controller). A copy of the client's national photo ID (voters' ID, National ID, NHIS card, driver license, or passport) must be attached to the request. Officer must confirm in writing that the original ID has been seen. How do i carry out an encashment/cancellation, part encashment, and cash bonus? Client must complete all fields under 'Request Details' on the appropriate request forms, and sign the request. A copy of the client's national photo ID (voters' ID, NHIS card, driver license, passport) must be attached to the request. Officer must confirm in writing that the original ID has been seen. Client must complete all fields under 'Request Details' on the appropriate ELAC request forms, and sign the request. A copy of the proof of overpayment or wrongful deduction may be attached to the request form. Thank you for your interest in our products. Please enter your details below and we would get back to you as soon as possible. Thank you.